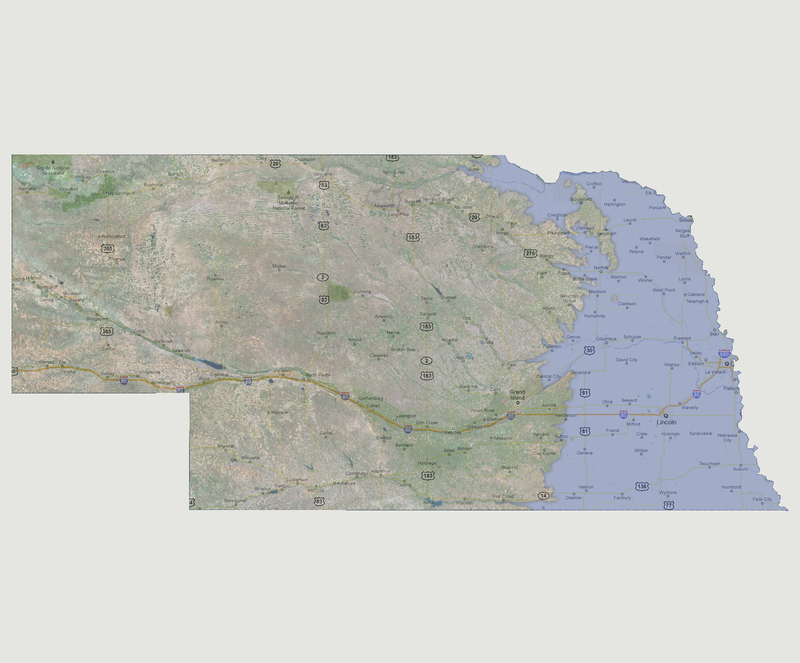 The Niobrara, Missouri and Platte Rivers all converge across the eastern half of the state flooding everything east of Route 81. The state capital of Lincoln is now underwater. A large island formed as a new waterway was created from Norfolk to Creighton cutting off the areas of Randolph and Bloomfield. NOTE: The highest tsunami recorded was 1720 feet in Lituya Bay, Alaska. To use the map above, select the ocean level rise you would like to view, use the plus and minus keys on the keyboard or the mousewheel to zoom in and out. Click and drag on the map to change the viewing location.